Shopping in San Francisco can be quite an experience. From Chinatown to Sacramento Street, from shopping malls in Union Square to downtown San Francisco Shopping center, you can choose from sophisticated boutiques to bargain picks. Come along to explore some of the shopping malls in San Francisco and see what they have to offer. There are many shopping districts in San Francisco and each has their own specialty and charm. From the upper crust stores at Union Square and Hayes Valley to the oriental goods of Chinatown or the specialty stores of Sausalito and Tiburon, shopping in San Francisco can be fun. Be it fashion garments, interesting jewelry or exotic food items, you can find it all! 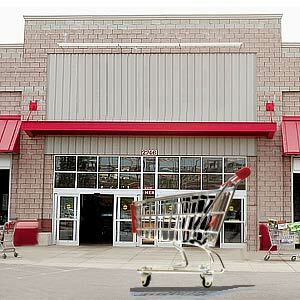 You can shop at big department stores like Crate and Barrel and Macy's. You can find vintage furniture stores, Mexican folk art shops and thrift bargains while shopping in San Francisco's Mission Street. San Francisco Antique Mall is another shopping haunt for those looking for collectibles, artifacts and such unusual stuff. SoMa or South of Market is now a hip area with many a fashion store and restaurant for avid shoppers. The Stonestown shopping center in San Francisco is home to more than 130 top retailers such as Williams-Sonoma, Nordstrom, Ann Taylor and J. Crew. The Cannery is another shopping mall in San Francisco located near the Hyde Street cable car turnaround. This three-level shopping mall offers restaurants and nightspots along with the shopping delights. The open-air courtyard sees many a live entertainment performance. If you are looking for interesting bric-a-brac for your home or elegant upholstery, lamps and floor coverings, head for the San Francisco Design Center - a fine shopping mall in San Francisco located South of Market at Henry Adams Street. Don't miss the famous chocolates at the store at Ghirardelli Square. Pick up antiques at the Jackson Square or Maiden Lane. A walk down Sacramento Street will acquaint you with one of the refined shopping areas of San Francisco - chic boutiques, unusual antiques and more! San Francisco Shopping Center is located just a couple of blocks away from Union Square. This nine-story vertical mall has the country's only spiral escalator. The rich ambience of the gold and marble fa?ade offers a wonderful shopping experience. From Victoria's Secret to Bebe, Club Monaco to Nordstrom and Abercrombie and Fitch, you can find them all at this San Francisco shopping center. This nine-level atrium with its spiral escalators is connected by the BART/Muni entrance station on the concourse level. Find the world's largest Nordstrom boutique here at the San Francisco shopping Center. Think shopping in San Francisco and what comes to mind is Union Square shopping area. Teeming with haute couture stores, jewelry outlets and department stores, Union Square shopping is home to Macy's, Saks, Neiman Marcus and Levi's stores. You can find boutiques for Bulgari, Cartier, Armani, Diesel, Prada, Gucci and Louis Vuitton, to name a few. If you are shopping on a lighter budget, opt for DSW - a discount shoe warehouse or Imposters - for classy faux jewelry items. When shopping on Union Street in San Francisco, you can look for parking garages on Union Street as well as Lombard and Webster streets. The Crocker Galleria is a three-level pavilion that boasts of fine boutiques and home fashions and gifts. The glass dome houses all these interesting shopping haunts. As any shopping guide to San Francisco would tell you, a walk down Chestnut Street can acquaint you with shops selling exquisite jewelry, fashionable outfits and more. You can sample international cuisine or indulge yourself at a day spa. Chestnut Street is a street lined with a mix of sophisticated shops, beauty outlets and restaurants alongside brand name retailers. Check out Body Shop or Bare Essentials for skin products. Shoe shoppers can visit Rabat or Blue Bird. Experience the heady feeling of sophisticated ambience and high energy that this shopping area of San Francisco emanates. Visit Chinatown for imported teas, Asian arts and crafts or herbal remedies. Shopping malls in Polk Street of San Francisco are ideal for affordable outfits and low-end clothing. You can pick up sports clothes or chic outfits at some of the bargain stores. Take a break for coffee at the legendary Bob's Donut Shop. Downtown San Francisco offers many shopping opportunities. This is the main business and financial districts. There is a big shopping mall on Market Street. Look up the Embarcadero in Fisherman's Wharf for some great bargains. Embarcadero is retail haven with brand names like Gap, Banana Republic, Ann Taylor, Liz Claiborne, Victoria Secret and Express Jeans. Even though the Embarcadero holds big names, this San Francisco shopping mall has unusual stores: the Discovery Channel Store for science lovers and the Giants Dugout for the sports enthusiast. Downtown shopping in San Francisco encompasses Powell, Sutter, Montgomery and Mission Streets. You can take a cable car or BART to Embarcadero station.